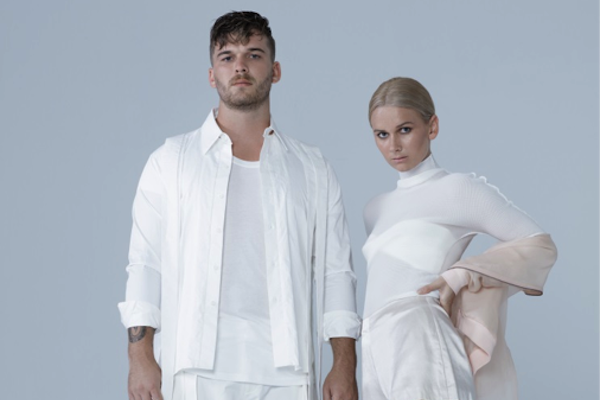 Since releasing their breakthrough debut album, Evergreen, in 2014, the brother-sister duo of Georgia and Caleb Nott—better known as Broods—spent the better part of two years on the road learning the ins and outs of what it means to be a band. For an act that was thrust into the international spotlight when both members were just barely out of school, the experience of playing big stages around the world had a powerful effect on the music they would choose to make next. It makes sense that when it came time to make a new album, assuming control would be a priority. Elsewhere on the record the duo is joined by Swedish pop sensation Tove Lo on “Freak of Nature,” a gorgeously articulated and darkly personal ballad about embracing and overcoming your own personal demons. (“Love made me do crazy things, Loving life turned me insane,” sings Georgia, “But maybe it’s beautiful.”) The band also get the ultimate co-sign from fellow New Zealander Lorde, who co-wrote “Heartlines”—one of the album’s most potent pop moments. Buoyed along by a stomping beat and clapping synths, the song is the kind of single that seems tailor-made for stadium sized sing-alongs. “I don’t always play nice, but I wanna feel your heartlines,” sings Georgia, as the song explodes into a gleeful ode to jumping state lines, grabbing onto the one you love, and running towards whatever it is that makes you happy.